Ping An Insurance (Group) Co of China on Monday launched the latest version of its mobile payment app for the public, a sign of traditional financial institutions' venture into the Internet finance sector. The app, called 1qianbao, not only features wealth management services similar to Alibaba Group's Yu'ebao and online chatting functions, but also offers consumer loan services, allowing users to borrow up to 10,000 yuan ($1,600) to make purchases with an interest-free period of 30 days at most, according to a statement from the company on Monday. The loan service is an innovation as Internet giants Alibaba and Tencent Holdings also planned to launch online credit cards in a bid to encourage online shopping in March, but were immediately halted by the central bank citing security concerns. "Our loan services are different from online credit cards. 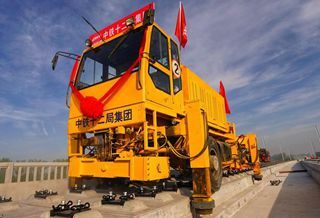 We have cooperated with a Shenzhen-based small loan firm to launch such services," Liu Xiaoyang, a PR officer with Ping An Insurance, told the Global Times on Monday. "Traditional financial institutions have advantages in stepping into the Internet finance sector, as they have better relationships with financial regulators," Feng Xianghe, an analyst at Beijing Unbank Investment Consultant, told the Global Times on Monday. "From the regulators' perspective, they are more trusting of Internet-based financial products issued by banks or insurance firms, which have better risk control experience," Feng said. 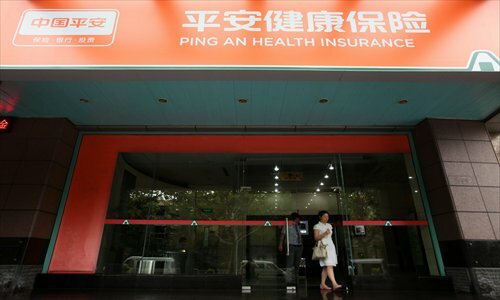 Huoqianbao, a monetary fund managed by a subsidiary of Ping An Insurance, posted a seven-day annualized return rate of 5.376 percent on Sunday, higher than many similar products run by Internet companies. The seven-day annualized return rate of Alibaba's Yu'ebao dropped to 4.985 percent on Sunday, the first time it fell below 5 percent since the beginning of this year. Annualized returns of similar funds released by other Internet companies such as Tencent and Sina have also dropped below 5 percent since the beginning of May. "The falling return rates were mainly due to relatively loose liquidity in the monetary market," Yin Yanmin, an analyst with bankrate.com.cn, told the Global Times on Monday. She expects the yields will continue to fluctuate between 4 and 5 percent in the long term. But analysts are cautious of a mass-scale user migration due to the slight gap in return rates between different Internet-based financial products. "1qianbao's improved functions will attract more users, but Internet giants have already grabbed considerable market share in the Internet finance sector," Yin said. Yu'ebao had attracted over 81 million users and investment of 541.3 billion yuan by the end of March 2014, Alibaba's partner Tianhong Asset Management Co said in April. Tencent's online monetary fund Licaitong has attracted 80 billion yuan in investment since its launch on January 15, Lai Zhiming, manager of Tencent's third-party payment platform TenPay, announced at an Internet conference on May 5. "After grabbing users, the competition for the next phase will be who can provide professional financial services to keep users," Yin said. "As Internet companies step further into the finance sector, they are likely to face increasing challenges from regulatory policies."